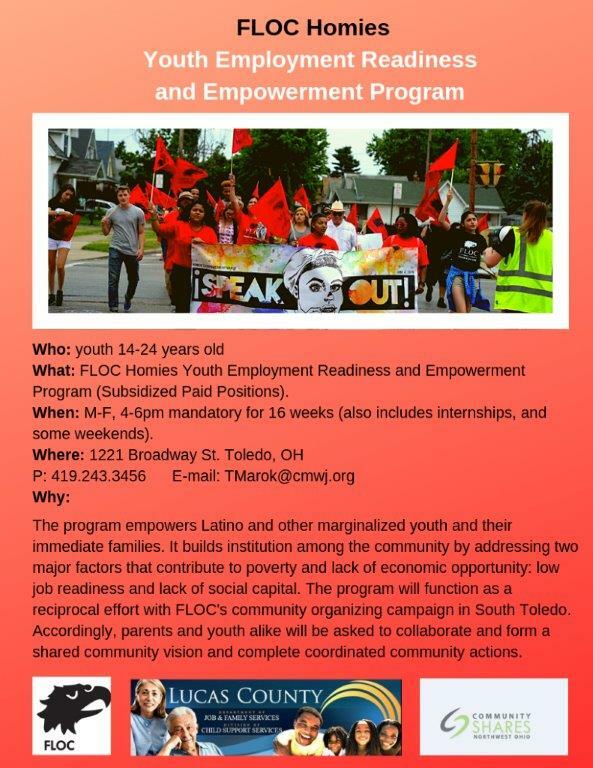 Apply here —–> FLOC Homies Union Application Page Read the information. At the bottom, press the button to begin the application process. FLOC Homies Union Quick Facts. Next Post:Our Organizer Stephen Explains FLOC’s Work in Kentucky and Elsewhere. Listen in!